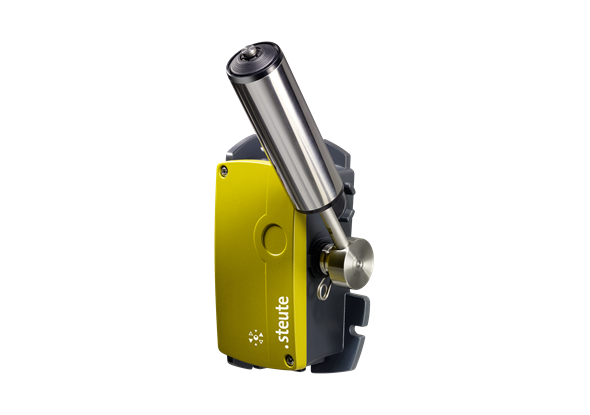 Steute has a new series of belt alignment switches. The ZS 92 SR has been developed based on the also new pull-wire switch ZS 92 S. Read more about the pull wire switch ZS 92 S.
The switch monitors the alignment of conveyor belts. The large stainless steel roller lever registers, for example, when the conveyor belt is not in the middle due to uneven loading. Depending on the application, the alignment of the tire can be corrected or the system stopped. The switch points that are individually adjustable are a unique feature. The switching points for the pre-alarm and stopping the system can be set separately between 5° and 35°. 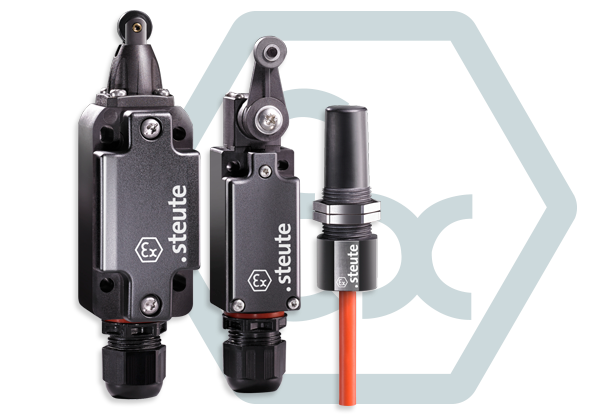 This is done very simply by changing the position of the contact blocks in the housing. Belt alignment switches work almost always under adverse conditions. The ZS 92 SR has been developed for this. The aluminum cast housing is coated several times (by passivation, primer, powder coating). The basic position of the roller lever can be adjusted continuously and can therefore be adapted to the application. The mounting is compatible with both the previous model ZS 91 and with other belt alignement switches available on the market. The switch can be expanded with an LED indicator to indicate the status. The ZS 92 SR can be used in adverse environmental conditions at temperatures from -40 °C to + 85 °C. A variant for dust explosive environments is being prepared.